You can add a second person to Face ID for authentication on an iPhone or iPad. Alternatively, you can use this same feature to add your own face again but with a vastly different appearance. For example, maybe you want to add your spouses face to Face ID so they can unlock your iPhone or iPad too, or maybe you alternate between your regular appearance as a perfectly coiffed supermodel woman and dressing up as a disheveled Santa Claus. Whatever the case, you can add a second face or alternate appearance to Face ID authentication in iOS. Note the ability to add an additional face to Face ID authentication requires iOS 12 or later, earlier versions of iOS do not support this feature. Face ID is now the preferred authentication method for many new model iPhone and iPad devices, but Face ID appears intended to be used by a single person, so adding a completely different person may not be officially supported or work perfectly. Nonetheless, it does work. 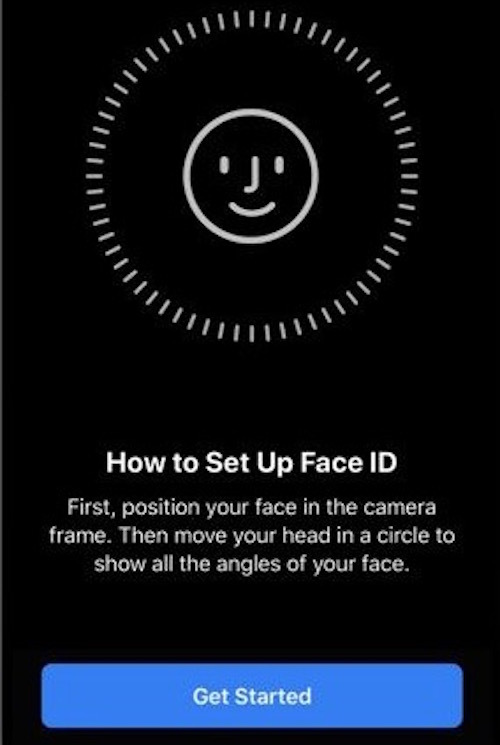 You can then verify that the newly added face or alternate appearance is working by locking the iPhone or iPad, then unlocking it with Face ID and that new appearance or second face. This should be handy for many people, whether it’s to allow a spouse or partner easy access to an iPhone or iPad, or if you’re splitting your appearance between Superman and Clark Kent. There are obviously other uses for this as well, so whether it’s to add another completely different person, or just a different version of your own appearance, have at it. Note that Face ID is supposed to continuously learn your appearance as you continue to use the feature, so for example if you get a dramatically different haircut or have a huge beard versus being clean shaven, or sometimes wear glasses and sometimes don’t, it should be able to detect that type of visible change to appearance. If you have difficulties with Face ID detecting those sort of changes, you can always add your different appearance to Face ID and it should resolve any unlocking issues experienced on the iPhone or iPad. As always, you can also choose to completely opt out of Face ID and not use Face ID for authentication at all on iPhone or iPad Pro with the feature. Opting out of Face ID instead forces you (or anyone else) to unlock the device by entering a passcode instead, the old fashioned way. If you decide you want to remove the alternate appearance of second person or face from Face ID, you’ll need to reset Face ID in iOS and start over again, which deletes both the primary and secondary appearances (or face) from the iPhone or iPad. 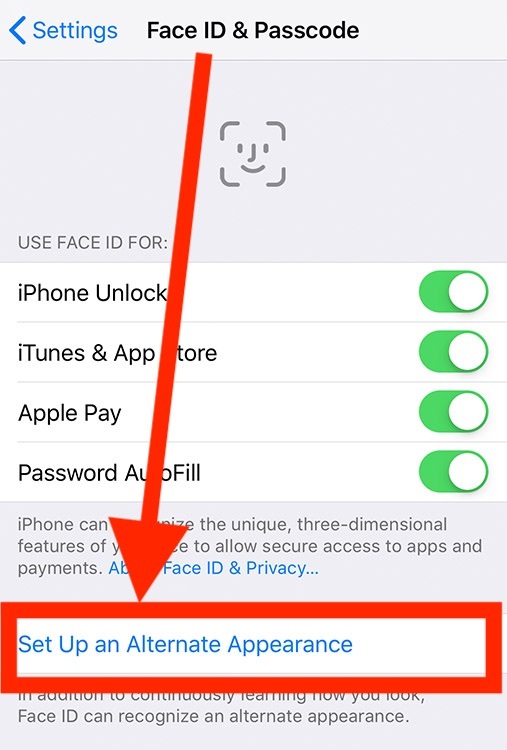 Even after you add a secondary appearance or race, the usual tips to disable Face ID on iPhone or iPad temporarily with a series of button presses or with Siri still apply, and they will apply to all faces that have been added to Face ID. Doing so requires the device to be unlocked manually by passcode. For now you can only add one alternate appearance or second face to Face ID, so whether that’s you, or another person, choose wisely. Perhaps in the future there will be additional options for adding more people and appearances to Face ID, but for now two is the limit.